At Okinja Early Learning we welcome you and your child into our Centre, which we have created to be an extension of the family home. Our vision is to provide a safe, warm and stimulating environment where quality of care is of the highest priority. 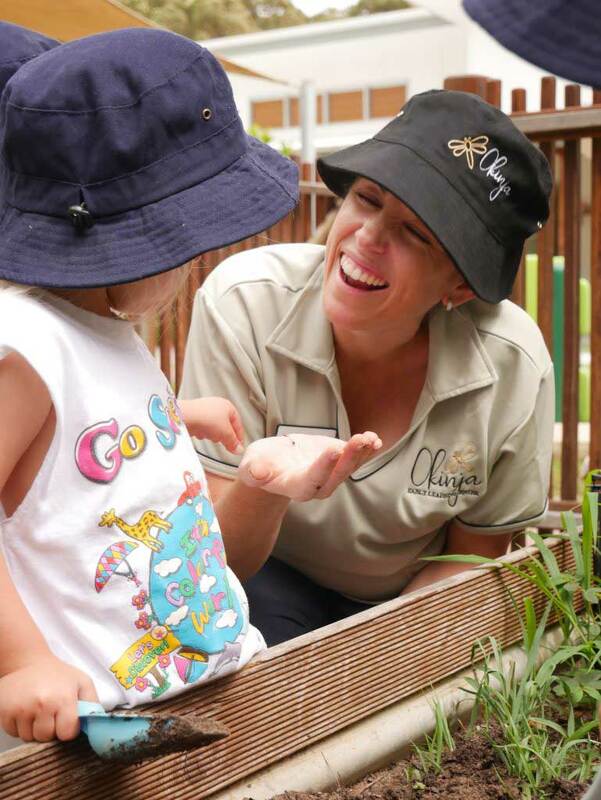 Located in the stunning beachside suburb of Alexandra Headland, Okinja Early Learning Centre & Kindergarten caters for children from birth to 6 years of age, operating from 6:30 am to 6 pm Monday to Friday. 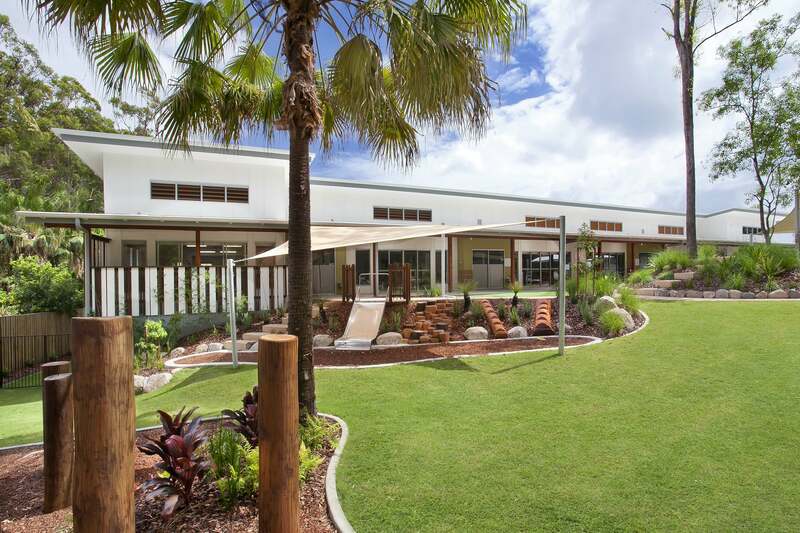 Our beautiful Centre is within walking distance to the beach, perfectly situated in a lush, tranquil setting bordering the Alex Forest Bushland Park and conveniently located just a short distance to the Maroochydore CBD. At Okinja Early Learning, we work collaboratively with families, valuing two-way communication, listening to and respecting our families as the child’s first educator. Our Educators are very experienced and dedicated to the wellbeing and education of the children entrusted into our care, accommodating and responding to children’s individual needs and feelings. Our state-of-the-art, purpose built centre is equipped with modern resources and spacious indoor rooms for each age group. Our stunning outdoor environment is an extension to our well-appointed rooms, with Alex Forest Bushland Park located adjacent to the playground providing a natural backdrop that enhances our outdoor play area. This setting encourages open ended-interactions, spontaneity, exploration and discovery, encouraging an environmental awareness and a respect for nature. Our four separate playgrounds cater for different age groups, allowing our children to have their own age appropriate play space. Our natural playground environments include sand pits, dry creek beds, vegetable gardens, bike paths, water play and much more. Fundamental to the Early Years Learning Framework is a view of children’s lives as characterised by belonging, being and becoming. We believe that a connection to their environment is an essential component of developing a sense of belonging. We encourage this through sustainable practices, teaching about our location and surrounding habitats and developing a love of the environment in all children. In embracing our community, our Centre is named after the road we are located on to reflect our connection to the local area. Our location in the heart of the beautiful Alexandra Headland, with its wealth of beautiful environments, plays a large role in our identity as a centre. The true meaning of Okinja symbolises beauty, harmony, perfection, family, love and responsibility. Want to know more about our centre? Contact us today for more information, or to book a centre tour! Our curriculum follows the Early Years Learning Framework with a focus on being, belonging and becoming. We believe that learning is a journey, and work with each child at their own pace. Find out more about our program here. 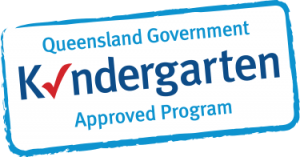 Our program is delivered by a team of devoted, loving educators who are passionate about encouraging, extending and enhancing children’s skills. Find out more about our educators here. Our state-of-the-art, purpose-built centre is fully equipped with modern amenities and a variety of stunning playscapes. Find out more about our facilities here. © OKINJA 2019. All rights reserved.